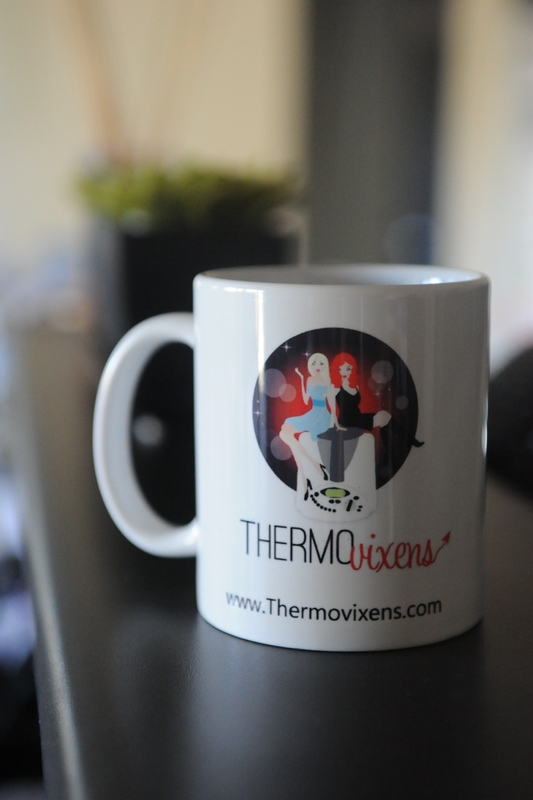 WIN a LIMITED EDITION Thermovixens Coffee Mug!!! When Cass and I started the Facebook page, we thought that it was just going to be a small little thing, where we could have some fun and get people to share their recipes and chat. Whilst we talked big, it was really just a bit of fun and gave us an outlet to talk about the Thermomix with likeminded people – sometimes your friends don’t want to hear about it anymore or think you have joined a cult or something! We chose the name Thermomix Recipe Share Australia, because we wanted to attract people who wanted to discuss recipes – new and old, share hints and tips and generally have discussions about TMX related information. From the Facebook page, grew this blog and the Thermovixens. We were helped along in our name search, by an amazing idea from one of our Likers – Gemma Kilgour. Thankyou Gemma! Whilst I was at it, I had a few extra made so that we could give them away when we hit 1000 likes. Let’s just say that they are LIMITED EDITION!!!! These will be a collector’s item! Now, the reason that you are being directed here to the blog, is because you technically are not supposed to run any competitions from you Facebook page, and we love our page too much to risk being shut down. So here it is………….all you have to do it place a comment below, maybe tell us why you LIKE us, or what you favorite recipe is, or how you came to LOVE your TMX. This is not a game of skill, nor will we be awarding the prize (Mug) to the best answer, but we would genuinely like to hear about you and your experiences. We will then use the Number Generator to choose a winner.